Welcome to Utrecht, the Netherlands! On behalf of the 11th European Symposium of Porcine Health Management (ESPHM) organising committee, I am thrilled to welcome you to the Netherlands from 22 to 24 May 2019 in the city of Utrecht. The ESPHM 2019 is a collaboration of the European College and the European Association of Porcine Health Management (ECPHM and EAPHM) and the local Dutch organising committee. The idea of hosting the 11th ESPHM in the Netherlands in 2019 originated within GD Animal Health, a leading organisation in Animal Health and Animal Production in the Netherlands, founded in 1919 so indeed exactly a century ago. Furthermore, within the organising committee the Dutch porcine veterinary community with leading institutes like Utrecht and Wageningen Universities, main industrial partners and especially the veterinary practitioners, is very well represented. The Netherlands is a prominent European country when it comes to pig production and porcine health management. Our relatively small country is densely populated with on one hand livestock and on the other hand critical, empowered consumers. 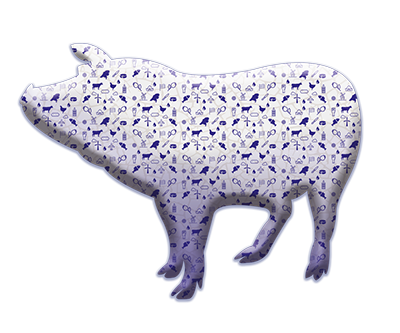 Hence we are dealing with many challenges when it comes to animal care, environmental and welfare issues and the necessary technical innovations to be prepared for a sustainable future of the European pig producing sector. So after ten consecutive increasingly successful ESPHM meetings it is about time the Netherlands is hosting the 11th version of the European Symposium. Utrecht is a vibrant city of knowledge with young, brainy residents, a thriving creative sector and attractive business locations, just 30 minutes from Amsterdam Schiphol Airport and at the junction of the country’s key motorways and railway lines. Furthermore, Utrecht is also the home town of one of the oldest universities of the Netherlands, founded 1636, and the only faculty of veterinary medicine of the country with the largest academic veterinary hospital in Europe. The congress centre of the 11th ESPHM is Tivoli-Vredenburg, the exciting brand new concert and congress venue right in the city centre, next to the central railway station, close to hotels and within walking distance of all the historic highlights of Utrecht. We do hope to welcome you in the Netherlands in 2019!